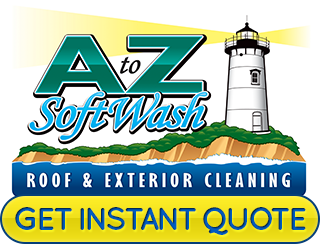 A to Z Softwash provides the Cape Cod area with a wide range of exterior cleaning services. 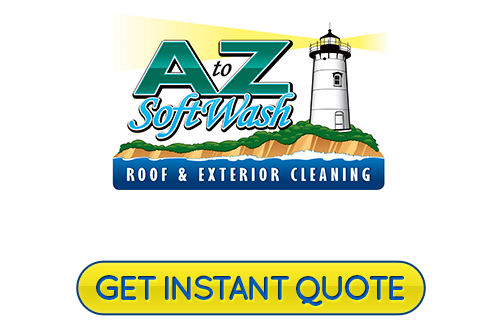 From softwash roof cleaning to entire house washing, our Massachusetts roof cleaning professionals are delighted to provide our customers with the finest roof cleaning and pressure washing services available in the area. Below you'll find a list of our service areas in Massachusetts. If you don't see your location listed in the cities below, don't worry - just give us a call at 508-209-7795! Our staff will gladly take the time to learn more about your exterior cleaning needs, and see what we can do to assist you. If you need a professional Massachusetts roof cleaning expert in Cape Cod, MA or any of the above service areas, please call 508-209-7795 or complete our online request form.